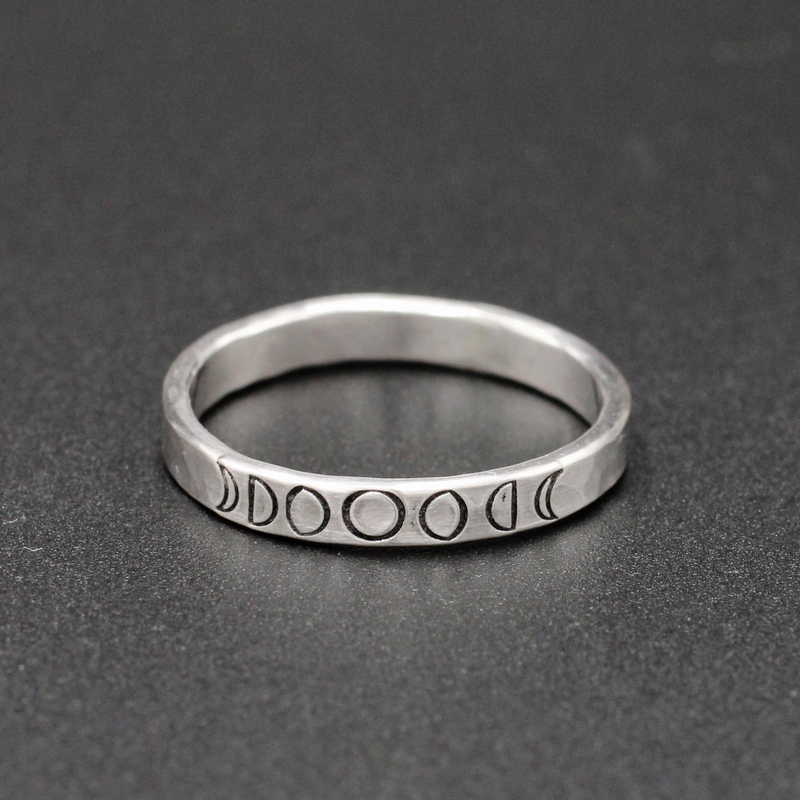 This pretty ring was created by stamping the phases of the moon by hand onto sterling silver wire. The wire was then formed into a ring band. 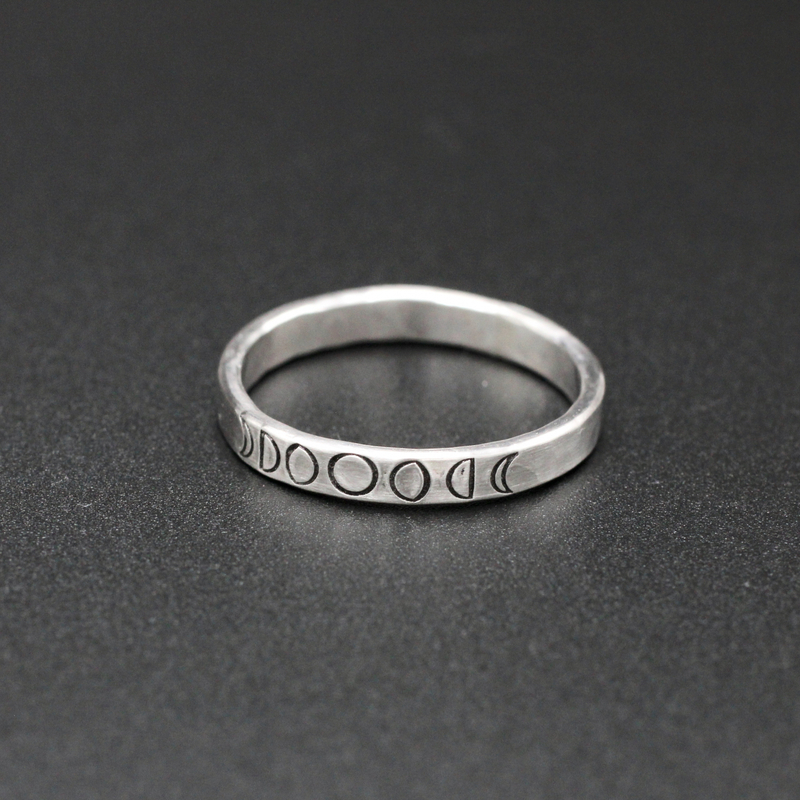 The ring is solid sterling silver and has a hammered and brushed finish. 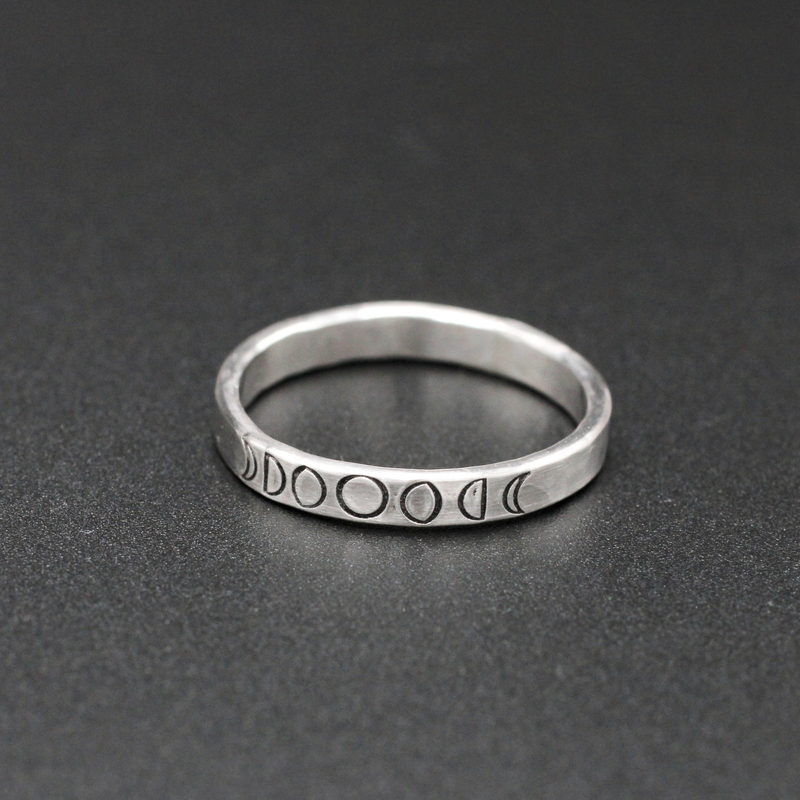 This ring measures 3mm in width and can be made in any whole, half, or quarter size from 4-13.